The six-episode show has been developed by Glen Zipper and Amy Berg. Despite its title, Netflix’s new documentary series Dogs doesn’t reveal so much about the four-legged canines as it does about the bipeds whose lives they impact in profound ways. The six-part show travels to various parts of the globe to reveal stories about dogs and their human companions and explore the many ways in which the two species interact. The series, developed by writer-producer Glen Zipper and Academy Award-nominated documentary filmmaker Amy Berg, was released on the streaming platform on November 16. Each episode is crafted by a different director, resulting in a unique narrative approach. For instance, Bravo, Zeus, directed by Berg, highlights a rarely-talked about casualty of the Syrian war – animals. The documentary traces a nail-biting quest to transport a Siberian Husky from war-ravaged Damascus to Berlin, to where his owner had managed to escape two years ago. The episode Ice on the Water takes a leisurely trip, travel-show style, to a town in Italy, where economic troubles are examined against the backdrop of one man’s relationship with his dog. 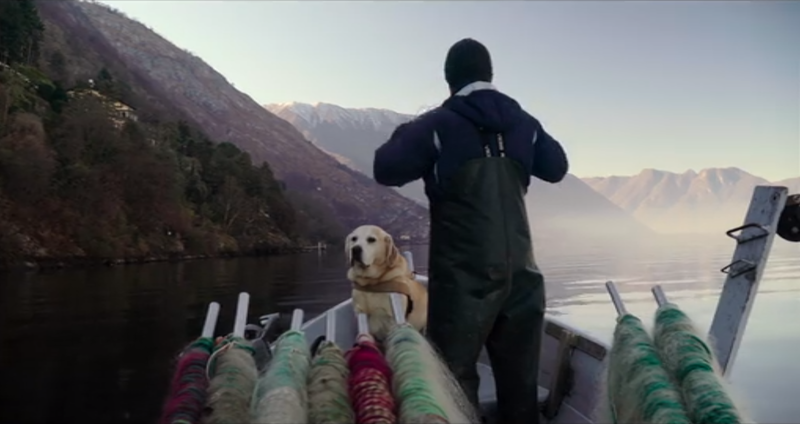 This segment follows Alessandro, a fisherman, on his daily expeditions with his Golden Retriever. Alessandro explains how the the once-thriving fishing community in the town is now struggling because of a declining catch. In these tough times, Ice is both Alessandro’s friend and assistant, keeping an eye on his nets and giving him company on his long work days. The show is at its story-telling best in Scissors Down, in which director Roger Ross Williams frames a reality series-style narrative around two Japanese dog groomers who come to the United States of America for a competition. Apart from its two protagonists, Williams highlights several supporting players in the competition while also offering a sweeping view of Japan’s unique relationship with dogs, which has a booming grooming industry and where marriage and child birth rates are declining even as pet ownership is rising. The main achievement of Dogs is that it tells several new stories about a topic that has been addressed in various forms and countless times on the internet. The series also offers a reflective look at on how dogs fare in a human-centric world, one in which they can be trained to come to humanity’s assistance in numerous ways – whether it’s sniffing out bombs and detecting seizures or by providing therapeutic and unconditional love and companionship. This kindness is not always reciprocated. Intentionally or otherwise, the series makes a dog lover wonder what the canines at the centre truly feel about some of the uses they are put to.